Commercial & Custom Cabinets, Inc.
About Commercial & Custom Cabinets, Inc. Established in 1994 by Lee Mai as C&C Cabinets and later incorporated in 2003 as Commercial & Custom Cabinets, Inc. We have exhibited steady growth in all areas; personnel, facility space, and sales revenues; in turn we have been able to lower production turn-around time and costs, while maintaining quality and personalized service. 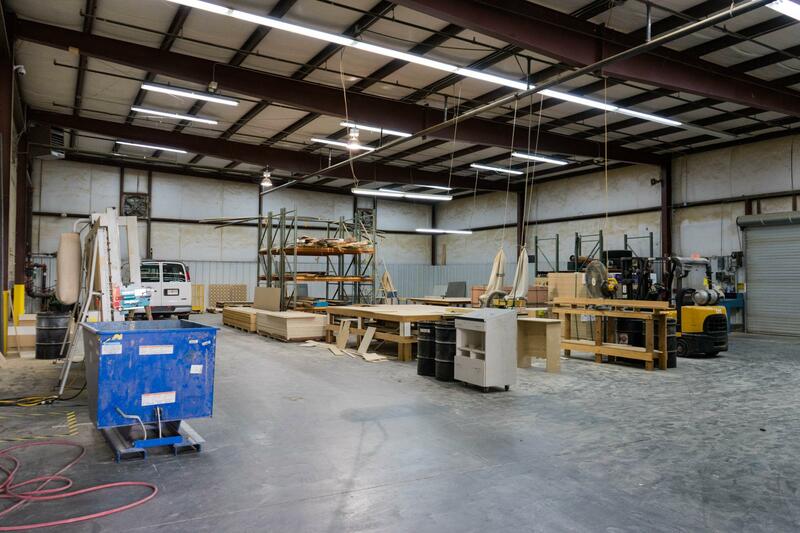 Commercial & Custom Cabinets has been able to endure the economic slow downs because of the diverse range of products and services we can offer within the millwork and fixture industry. Commercial & Custom Cabinets provides more than just cabinets; we offer design, value engineering, production shop drawings, and manufacturing for high-end custom fixtures as well. Although Commercial & Custom Cabinets produces a standard european production style cabinet that meets or exceeds AWI custom specifications, we also build to meet individual architectural requirements. Plastic laminated casework is not our primary focus, but secondary to our custom work; architectural veneer wall panels, entry portals, reception desks, conference room tables and board rooms. Providing solid surface in conjunction with our projects is paramount to contractors. Since we sub nothing out except glass and stone, we are able to flex with the everchanging schedules in construction. We will continue to build custom millwork and casework putting our heart and soul into every last detail, as we continue to be a preferred subcontractor for many Architects, Designers, and General Contractors.